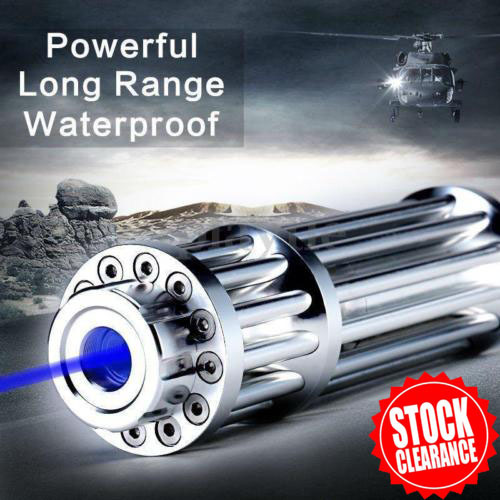 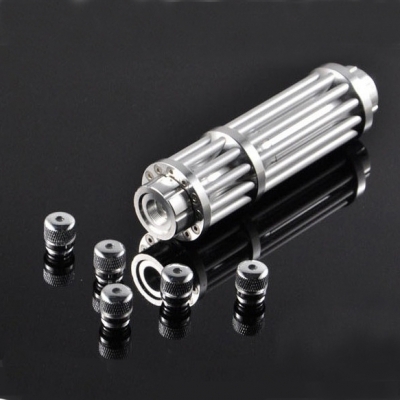 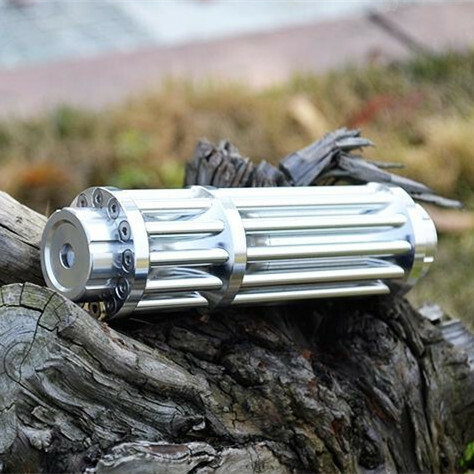 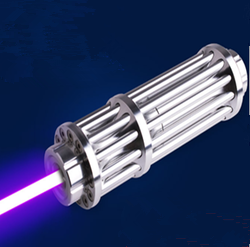 Gatling laser pointer become more and more popular in the laser pointers market, not only has it a cool shape design, more important is that it has a very powerful function. 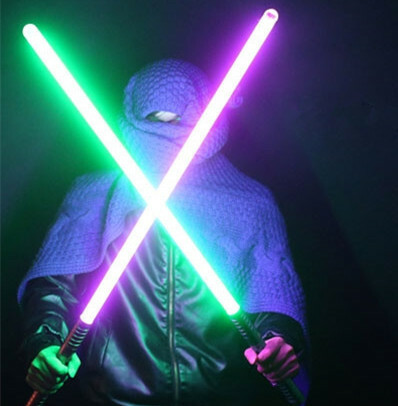 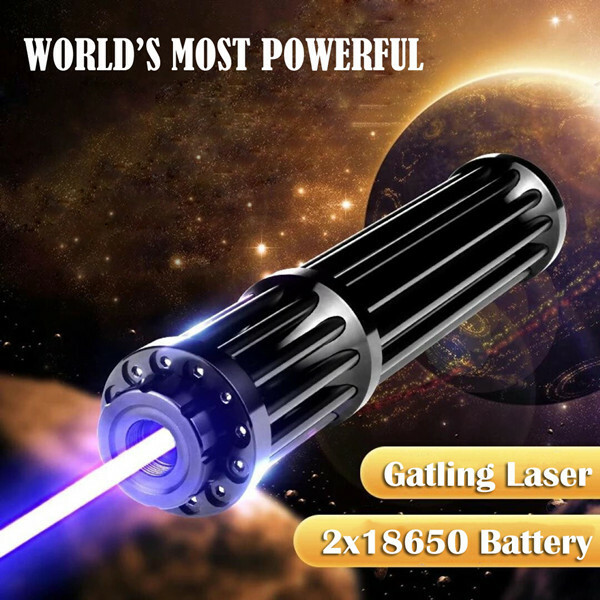 Only blue Gatling lasers can do something as shown in the video, and the higher the power, the easier to do it. 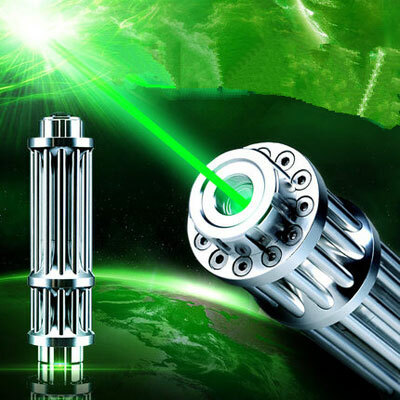 And we has created a kind of USB Gatling laser pointer with built-in battery, to use more convenient. 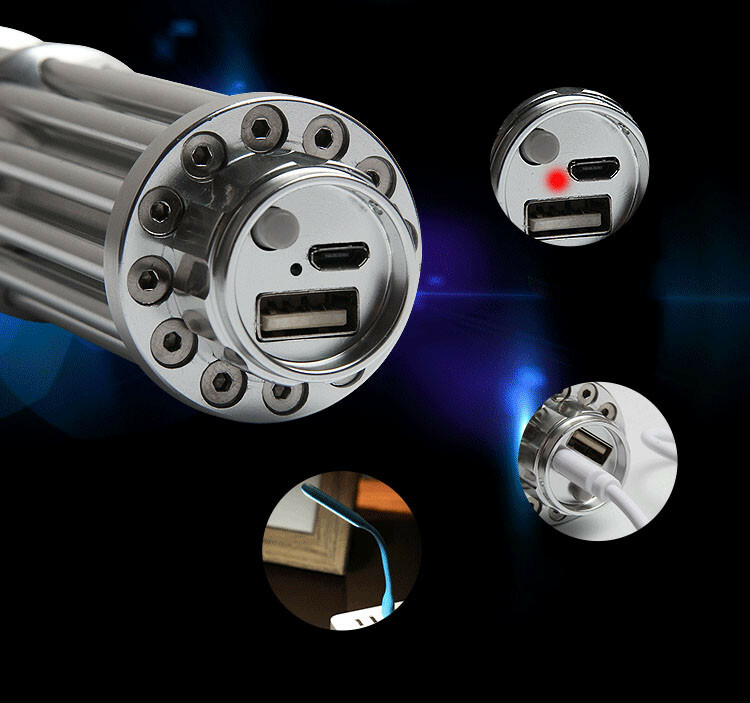 Recently our shop has a product is doing promotional activities, it is recommended that you buy this laser pen, very affordable, by the laser enthusiasts wide acclaim.